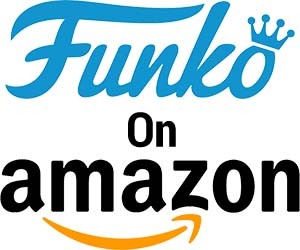 Funko kicks off this week in a huge way with an entirely new product line called 5 Star and it looks like it will be another hit. 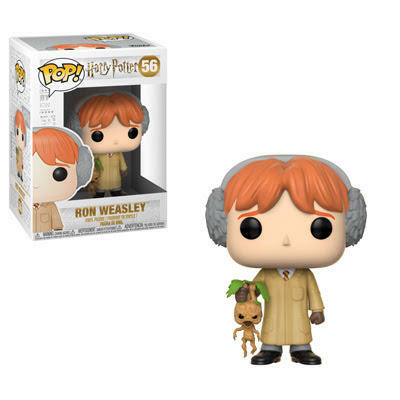 We’ll let Funko explain it for themselves. 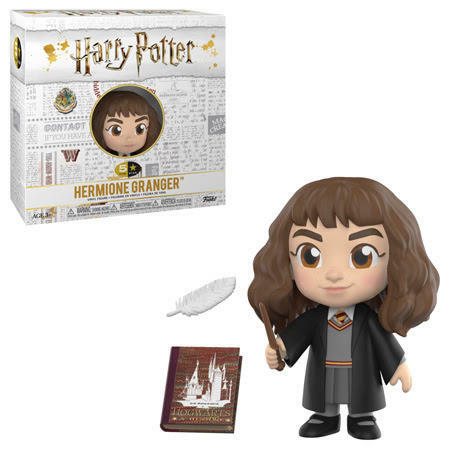 In addition to Funko’s usual attention to detail and characterization, the 5 Starline boasts several unique features including three points of articulation, allowing the figures to be posed, window display box packaging that mimics the opening of a book and situates each character in their unique world, and thoughtful accessories that further the character’s narrative. 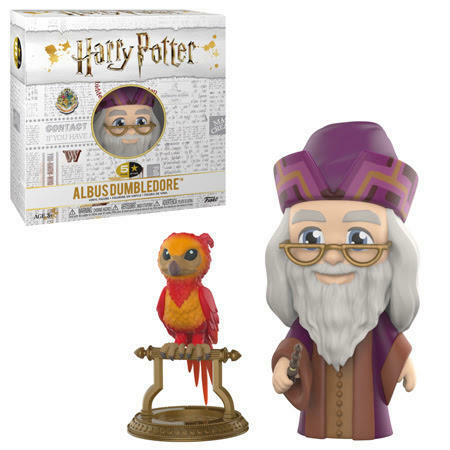 The 5 Star line launches with the ever-magical Wizarding World with the beloved Harry Potter and his friends Hermione Granger and Ron Weasley with their Hogwarts mentors Albus Dumbledore and Rubeus Hagrid. 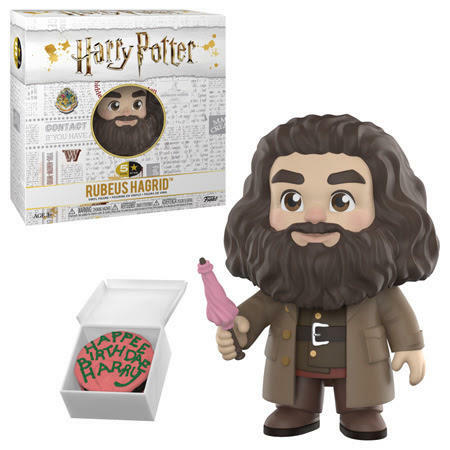 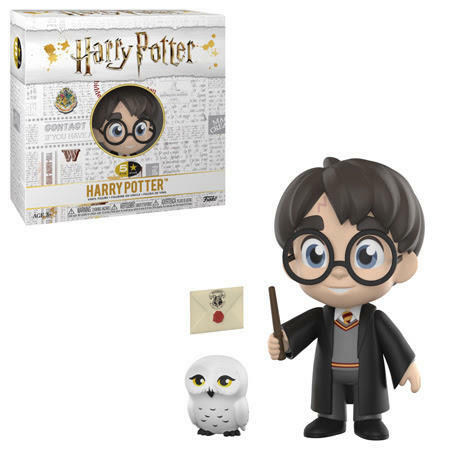 Each figure is accompanied by an animal companion such as Hedwig the owl or by an iconic character-defining object such as Harry’s Hogwarts acceptance letter or Hagrid’s pink umbrella. 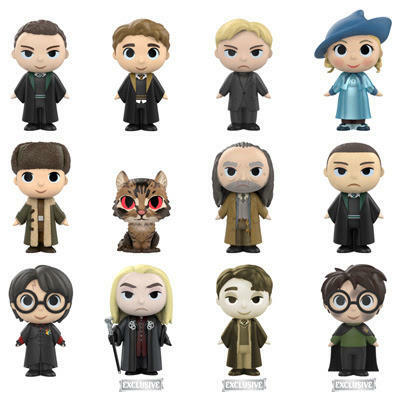 Each figure will cost $10. 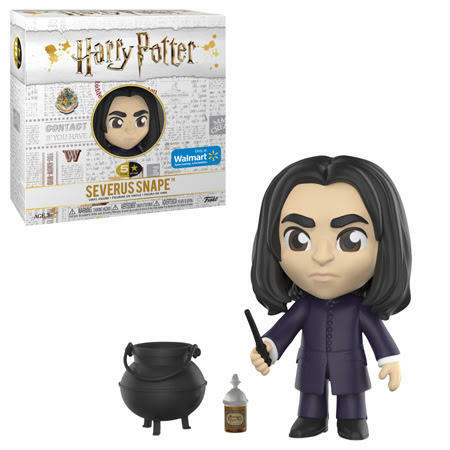 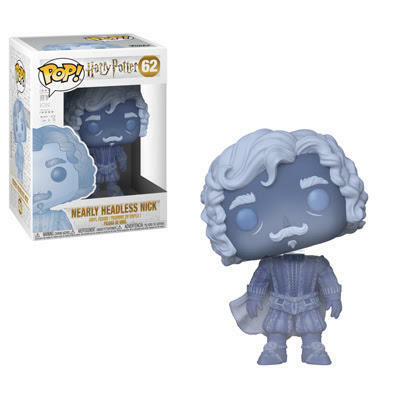 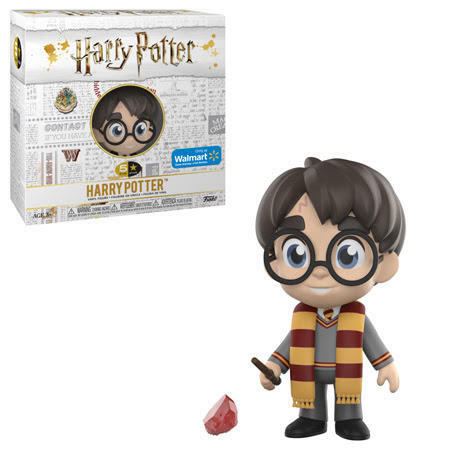 Kicking off with Harry Potter there will already be an exclusive with Snape being found only at Walmart. 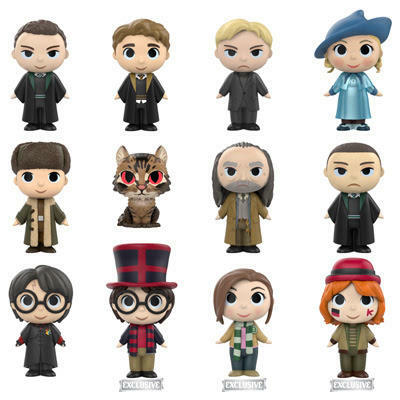 Traditional Harry Potter collectors will not be left out in the cold. 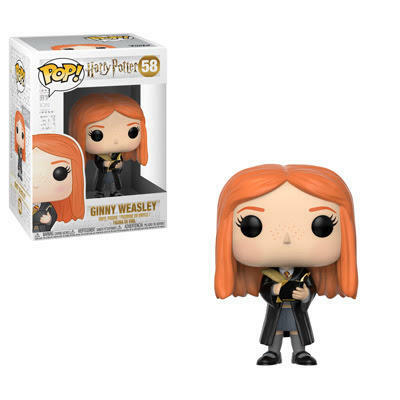 You’re getting new Vynl sets, Mystery Minis, and new Pop figures as well. 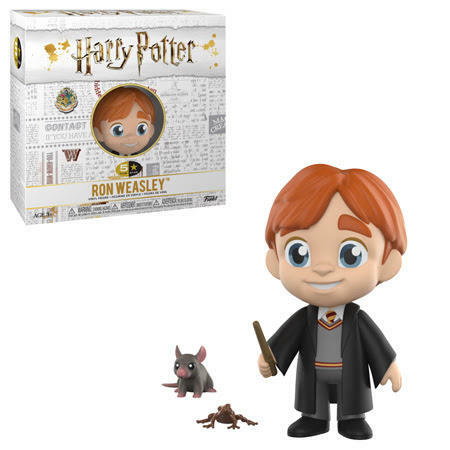 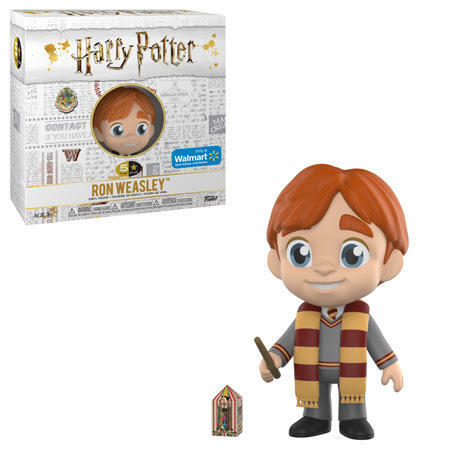 Ron and Hermione will come as a set with an alternate set available at Barnes & Noble. 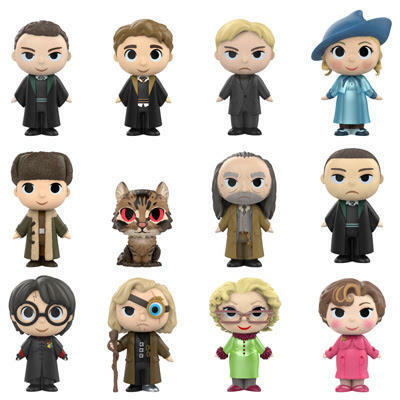 At Hot Topic find Harry Potter, Lucius Malfoy and a black and white version of Tom Riddle! 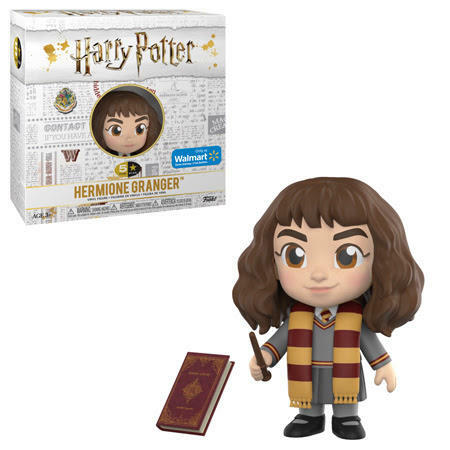 In addition to the basic new series 5 Pop! 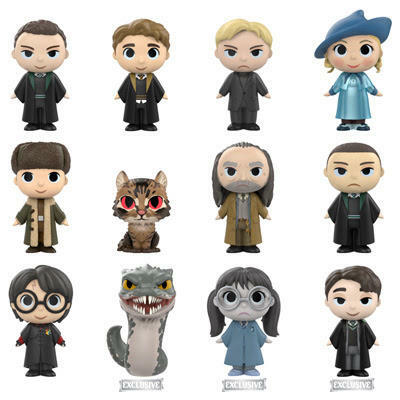 figures, there will also be exclusive figures for you to look for. 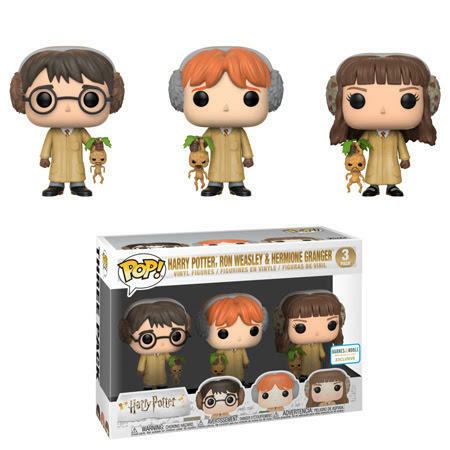 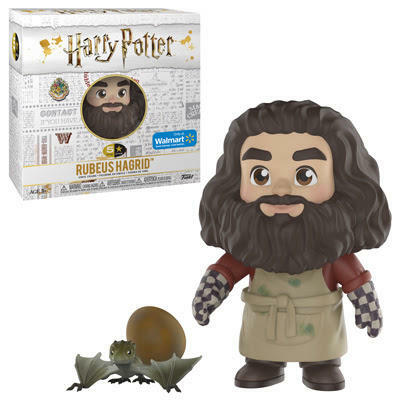 Be sure to look for a Herbology themed 3-pack of Harry, Ron and Hermione – Only at Books-A-Million! 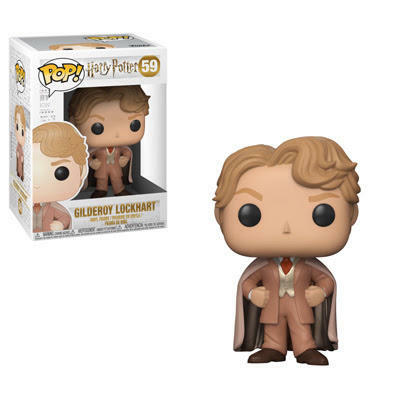 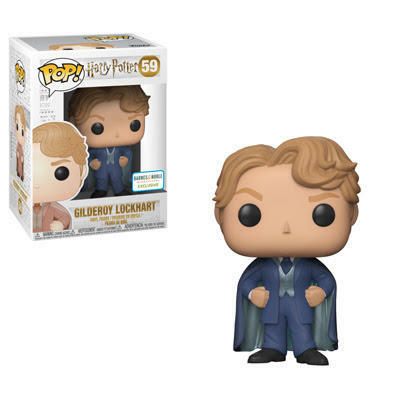 Look for another version of Gildeory Lockhart at Books-A-Million! 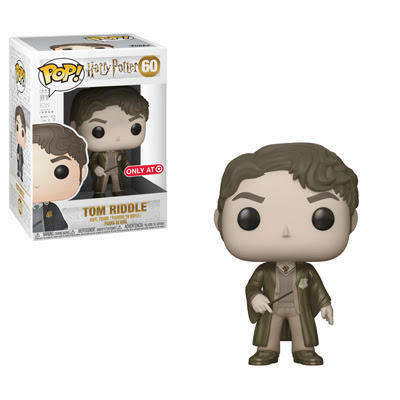 A sepia version of Tom Riddle can be found at Target! 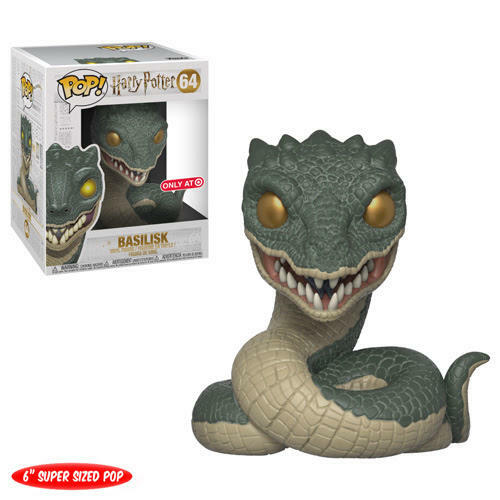 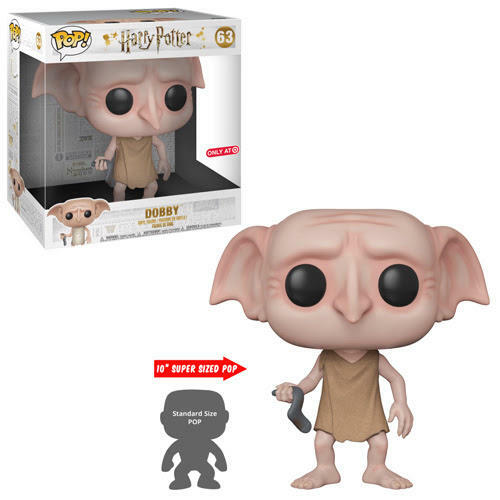 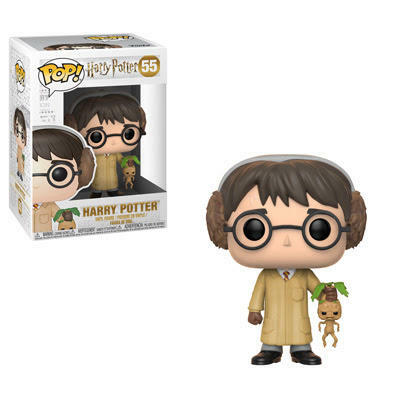 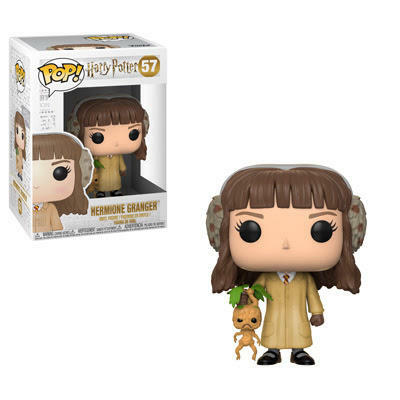 Look for a 6” version of a Basilisk and a 10” version of Dobby at Target! 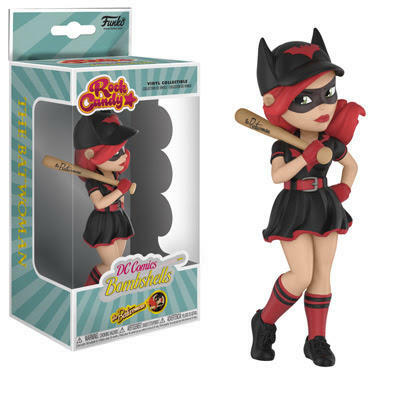 Two more DC Bombshells are joining the Rock Candy line. 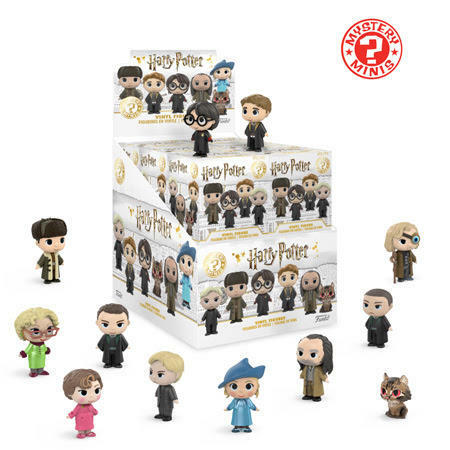 In August you can look for Batwoman and Harley Quinn. 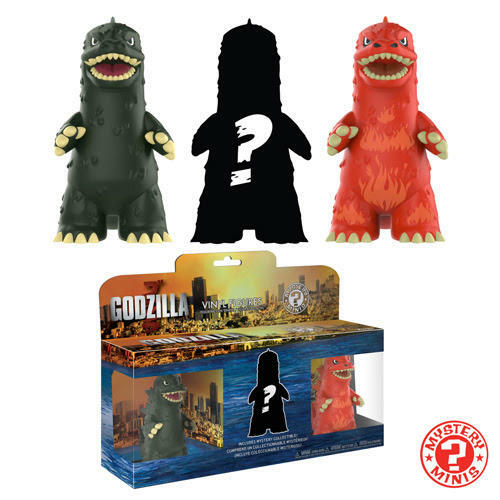 Godzilla is getting an unusual Mystery Mini treatment in a three-pack where you can see two of them, and only one is a mystery.